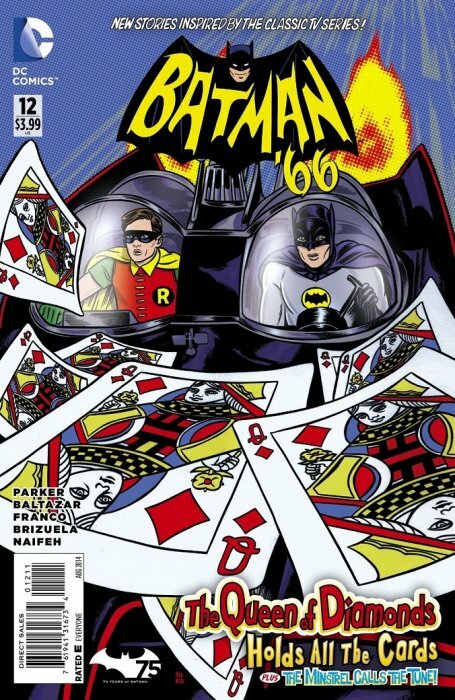 At San Diego Comic Con (SDCC) there were two announcements involving DC Comics’ Batman along with two different comic book publishers for 2 separate cross-overs. 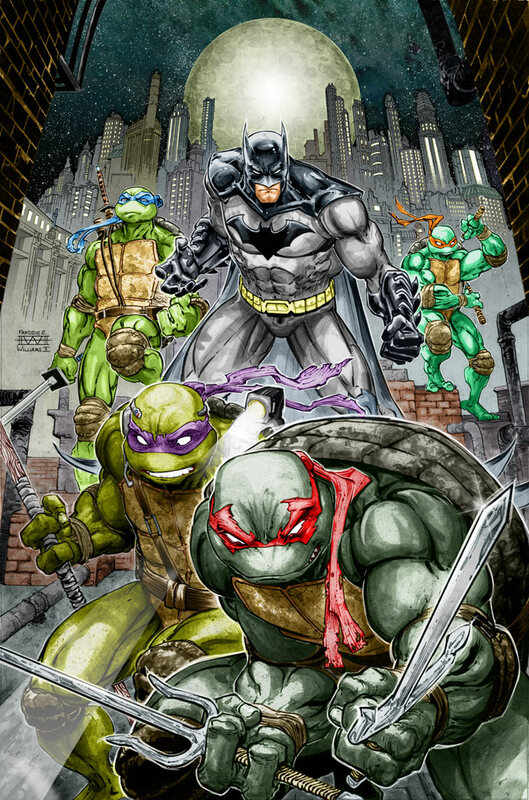 The first involves DC Comics and IDW as Batman / Teenaged Mutant Ninja Turtles (TMNT) has the Dark Knight crossing paths with the pizza-obsessed teen anthropomorphized iconic fighting turtles. The presumed mini-series will be written by James Tynion IV, who has written Batman alongside Scott Snyder in the core Batman series as well as the weekly Batman Eternal, and drawn by Freddie E. Williams II, who’s drawn Batman’s Robin in the past. In addition, the variant covers to the series will be provided by TMNT co-creator Kevin Eastman and others. 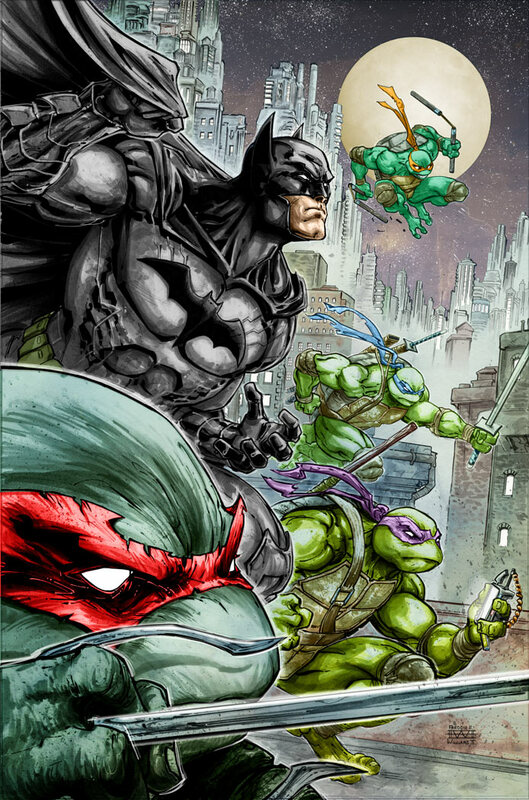 Batman / Teen Aged Mutant Turtles #1 ships in November 2015. 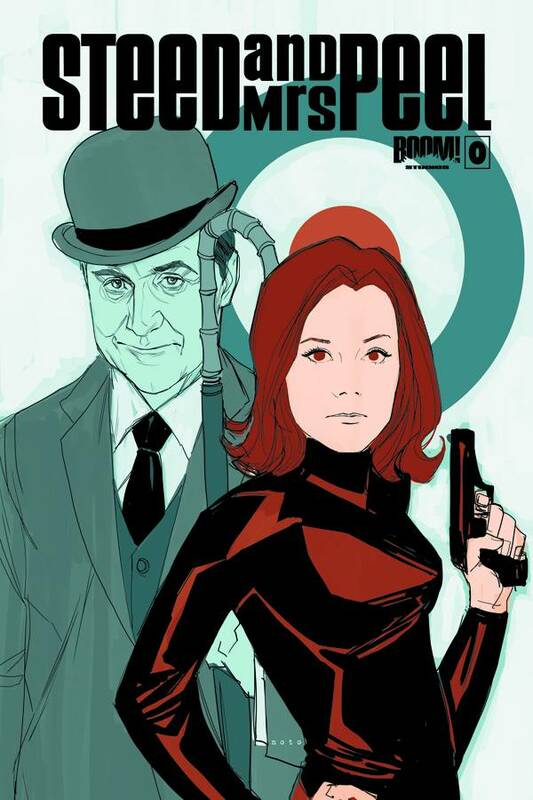 The second cross-over one involves DC Comics and Boom Studios as the Batman ’66 regular series will feature an appearance by British TV’s The Avengers starring John Steed and Emma Peel. The creative team and timing was not announced nor has art been released. No word if Batman ’66 will return the favor and appear in any Boom Studio comics featuring Steed And Mrs. Peel. This cross-over isn’t a huge surprise as Dan DiDio, DC’s co-publisher, is a self-admitted 1960’s The Avengers fan. These new x-overs follow successful modern era cross-company cross-overs such as DC Comics and IDW’s 2011/12 Star Trek / Legion of Super-Heroes and the currently in stores Star Trek / Green Lantern: The Spectrum War whose #1 issue recently shipped.